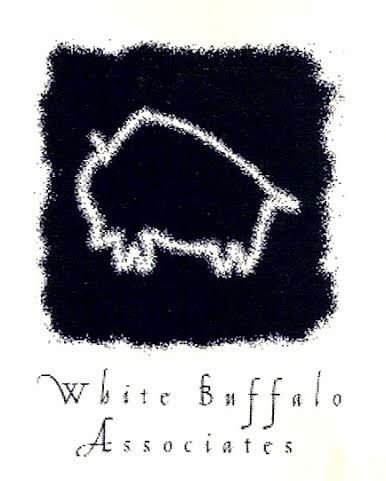 In 1993 I founded White Buffalo Associates (WBA) to address a global need for individual and collective healing from the wounds of alienation, fragmentation, and loss of mythic stories that contain the structures and patterns of possibilities needed to co-create a New Story for Our Time. This New Story is about planetary interconnectedness, integral thinking, compassionate communities, and conscious evolution into a whole new order of meaning and being. In the midst of my training in core shamanism with the Foundation for Shamanic Studies, and while still working for a major corporation, I met the White Buffalo Calf Woman (WBCW) for the first time in a shamanic journey to seek spiritual guidance for myself and the corporation for which I worked. The WBCW appeared initially as a brown buffalo in a large herd of buffalo. She then turned into a white buffalo, who stood at the head of the herd. Very quickly, she further transformed into a woman and began communicating about the sacred systems nature of all life and how I might apply this teaching in my life and organizational work. I followed her guidance, and when I eventually left that corporation, she urged me to start White Buffalo Associates, a business that strives to embody these teachings. The word ‘associates’ refers to how I, along with other collaborators, work together in service to the WBA mission. The WBA logo was designed by Omaha graphic designer Janeen Macrino, who created several variations of it. I love this logo and was pleased to learn that Janeen won a national award for its creation. Thank you, Janeen!